Here at Lekker, we produce a range of bikes suited to a range of different riding styles. 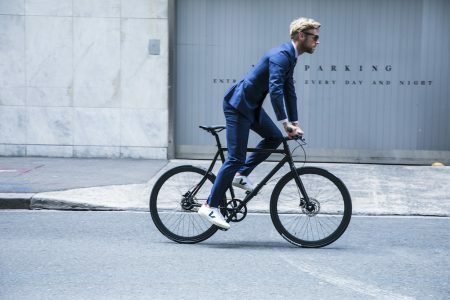 Whether you’re after a cruiser to explore new terrain over the weekend, or, a zippy commuter bike to get you to and from the office each morning – Lekker Bikes has wheels to suit your style, and your needs. Within this post, we’ll be placing particular focus on our Commuter Series – our Amsterdam and Amsterdam Elite models, and in doing so, introduce you to a new alternative of the classic system we all know – the bike chain. It’s known as, the ‘Gates Carbon Drive System’. Essentially, it’s a belt drive that replaces the chain, and in doing so, provides a range of advantages over it. You might be asking yourself what these are, and why the classic bike chain needs an upgrade? In this post, we’ll be covering all of this and more. And, if you are an owner of one of the above mentioned Lekker models, why it might be of interest to explore this new riding technology. Gates Carbon Drive System – Overview. 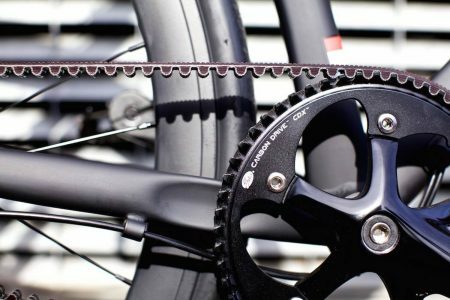 The Gates Carbon Drive System is a polyurethane belt drive, a modern upgrade and replacement to a bike chain. It’s been developed by Gates Corporation – an engineering leader who creates long lasting and high performance power transmission belts – operating out of Denver Colorado, USA. They’ve been in operation since 1911, and are a global leader in belt-drive technologies, having worked within the motorcycling and manufacturing industries. 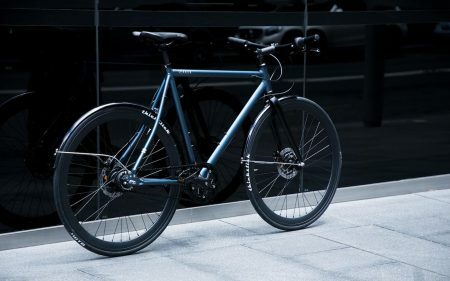 They’ve been offering their drivetrain expertise to, the automotive, industrial, and, the engine powered worlds, and now to further push the ever-expanding bicycle market. Today, their product – the Gates Carbon Drive System, is known as the best high-mileage bicycle drive on the market. However, we don’t ask you to just take theirs or even our word for it. It’s been put to the test by the Denver Boulder Bicycle Couriers – to do nothing but give the product, the ultimate test. The feedback was nothing short of “wow!”. So, you might be wondering how exactly this might improve my ride? Well – let’s get to the specifics on the belt itself, and, the advantages it might offer you and your ride. The belt drive, is composed of a weather resistant polyurethane exterior and features nine strong, stretch-free, carbon fiber tensile cords along with an engineered polymer body. 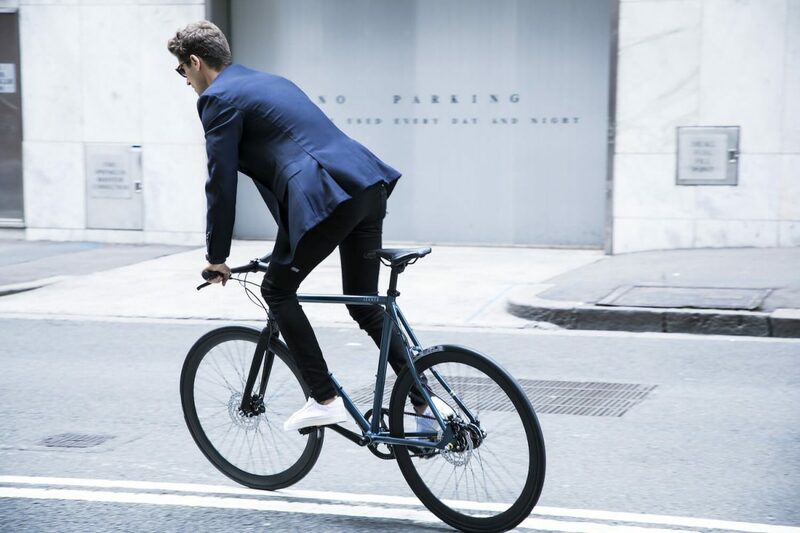 This all makes it suitable for many different styles of riding – from urban commuting, rugged mountain riding, to ebiking and, casual riding. The elimination of a carbon or steel chain, means that there’s absolutely no rust, oil or even grease in the system. Instead it’s a far simpler, cleaner, lighter, stronger and smoother system. The belt itself, is said to last longer than a regular chain too, requiring no greasing, as well as nearly being fully maintenance free. All of this together, providing you with an extremely reliable system that will last long too. So, which bikes within the Lekker range, can the Gates Carbon Drive System be added to? Well, let’s find out. The Lekker range includes bikes both with, and without a chain guard (a covering for the chain to protect the bike and rider from grease, dirt, as well as the bike from rust). Depending on the model, Lekker Bikes come both with and without a chain guard. 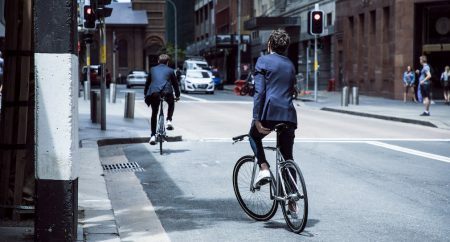 Those without a chain guard, are, the Lekker Commuter range – the Lekker Amsterdam models. The bikes of ours that are particular suited to the Gates Carbon Drive System, are our Amsterdam Elite 3-Speed model, and, our Amsterdam Elite 8-Speed model also. If you’re the owner of one of these rides and you’re interested in finding out more about the Gates Carbon Drive System and how it might improve your riding experience, then we invite you to get in touch – through popping into either one of our Melbourne or Sydney shops, or simply through our website or by giving us a phone call. We’d be more than happy to chat about some of our upgrading options. Whether you’re in search of a whole new ride, or simply some premium accessories to dress up your existing one, Lekker Bikes have a wide range of products to suit a range of two-wheeled needs. If you’re currently riding one of our Amsterdam Elite Commuter bikes, or, have your eye on one, then we invite you to consider the Gates Carbon Drive System. As mentioned above, it might be just the thing you’re after – providing you with a system that is rust-free, as well as more durable, and, far cleaner, simpler, lighter and stronger than the classic steel or carbon chain systems.